Switching between sitting and standing is much better than sitting all the time at work but walking is the best for health. Standing desks became popular in the past few years but some of its users find it harsh on their joints to stand for long time which is why we recommend adding walking as a way to ease the pressure on the joints. You don’t need to buy the whole treadmill desk station if you already have an existing standing desk. 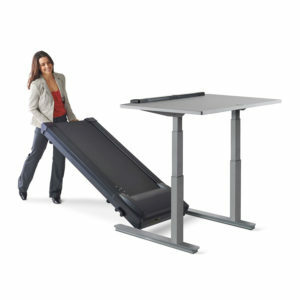 Our treadmill bases can fit under any standing desk giving you the ability to start walking right away without the need to change your desk. 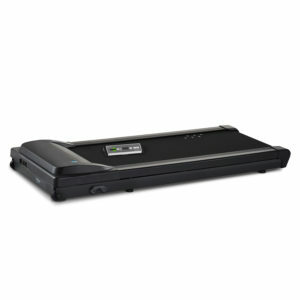 The treadmill base comes with a control console that should be placed on top of the existing desk to control the treadmill giving you the ability to monitor the time, step count, calories, distance and speed.